Moving forward in waiting– an idea much easier said than done. Talking about waiting is one thing, but being caught up in the middle of longing can be deeply challenging and painful. In my previous post I shared how we are created to wait and long and anticipate more than what this life can offer, and how only Jesus’ return will bring finality and perfection to our waiting hearts. When I wrote that post, I had the following story in mind. 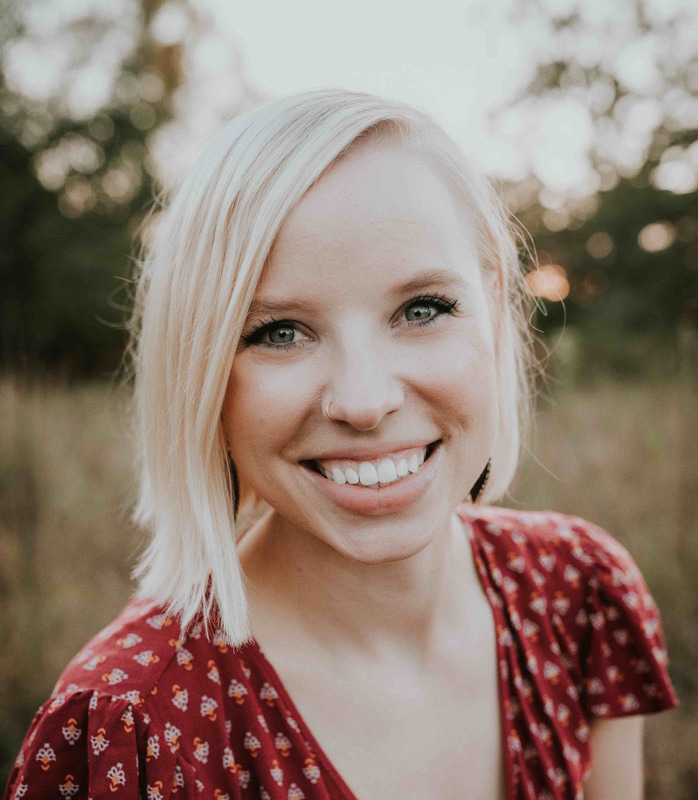 My dear friend Erin has been sharing with me over the past few months what God has been doing in her and her husband’s hearts while they wait for children. Her pursuit of God’s plan and patience with His timing has been such an encouragement to me, and I hope it is to you as well. The thing that stands out most in Erin’s story is the power of God’s peace and rest! Whatever you are waiting on, may her story bring bring you hope that God can provide everything you need to pursue Him and find rest and purpose in your current season. My waiting journey started about a year ago. My husband and I had been off of birth control for a year, but hadn’t “accidentally” gotten pregnant. So now it was the real deal– time to start trying. It seemed most people I knew got pregnant in the first month or two and I hoped this would be our story, although fear lingered since it hadn’t already happened. My husband and I both LOVE kids, I am a teacher after all, and growing our family is something we have been looking forward to. I was excited to get pregnant—expectant and waiting. But it didn’t happen and didn’t happen. After a few months of trying, someone I dearly love announced her exciting new pregnancy. They hadn’t been trying as long as us and her announcement felt like an unexpected stab to my heart. As she told me she was pregnant, I choked back the tears and did my best to put on a super happy and excited face. Later that evening I was able to finally let out my real emptions to my husband. Tears and tears and tears. I was so upset that I wasn’t pregnant. How come we don’t get to have a baby?Why isn’t it working?I’m sick of waiting! After letting out all the tears, my heart hurt for feeling so sad for someone else’s incredible news. This is ridiculous. I don’t want to be sad. I want to be excited for her. I want to be excited for all of my friends who get pregnant. I’m at an age where everyone around me is growing their families. I can barely go on Facebook without seeing a new pregnancy or birth announcement. I realized it is going to be a long life if I react this way each time. I took a deep breath. Although I was disappointed in our own progress, a prayed my joy could return for the others in my life. My wise husband recommended a perspective shift in our new season of waiting. Instead of waiting until this season is over to look back at what God is doing, he challenged us to be present with God while we wait. What if instead of impatiently waiting for this season to end, we examine where we are and see how God is already at work and how He can use this time while we are in it? We decided to maintain a mindset that God’s plan includes right now, and He is using us, and this season, for good. God wants GOOD for us because He’s a good father. He knows how our family’s story will unfold, and it’s a good story. God is gracious and is teaching me so much about trusting Him and embracing my own, special journey. As I have learned more about His goodness, it has allowed me to have pure JOY for others when they get pregnant and have babies. It is truly amazing, and is a gift from Him and not a natural response of my flesh. Since I have decided in my heart that I want to be obedient to God’s plan and His timing, I have not been jealous, angry or hurt by other people’s joy in pregnancy. Just the other day one of my close friends had a baby. When I saw those first pictures tears welled up in my eyes—I can honestly say was bursting with happiness for this family. This attitude shift is a beautiful gift from my Father. Each month when I know our answer is “not yet”, I press into the truth that God is faithful. Leland and I have started to look at the NOW in our lives. What is God doing in this moment while we wait? How can we embrace THIS season and serve Him diligently? 1) I get to enjoy my husband to myself. Yes, there’s nothing more that I want than to see Leland as a dad. He’s going to be the best daddy :). But right now, instead of always thinking about getting pregnant and sulking in the fact that we aren’t, we’ve taken time to enjoy each other and grow closer. We have the time and freedom to adventure together. God knew what he was doing giving us this time to make our marriage even stronger, giving us the space to create a solid foundation for the future of our family. 2) I have been able to be very involved in the lives of my students at school. And these kiddos have required so much of me this year! I have needed to put my full energy into this classroom—something I couldn’t have done in any other season of life. 4) We have been able to participate in the Safe Families Program and have housed small children while they wait to return to a safer environment with their parents. 3) I get to spend a lot of time with my nieces. They know me and I’m loved by them. I know it means so much to my sisters that I get to help them with their kids and love on them. And it fills me up when I spend time with them. I want to look back on my time of waiting and know I was obedient to Jesus and that I truly trusted Him. I want to be able to celebrate the joys in the lives of the people around me and rejoice in God’s plan for their life, even if it is different than the plan He has for me.